Despite Drake stating in his latest project "If Your Reading This It Too Late" that he's done with acting, his face will still be on the movie screen. Drake will be coming to a theater near you for one night only on March 19th. Drizzy had a very memorable homecoming concert at Toronto Academy in 2009 and now the experience has been brought to life through a short-film. Titled Drake’s Homecoming: The Lost Footage, the film will hit selected AMC Theaters next month, featuring commentary from the man himself, along with Bun B and Jas Prince. 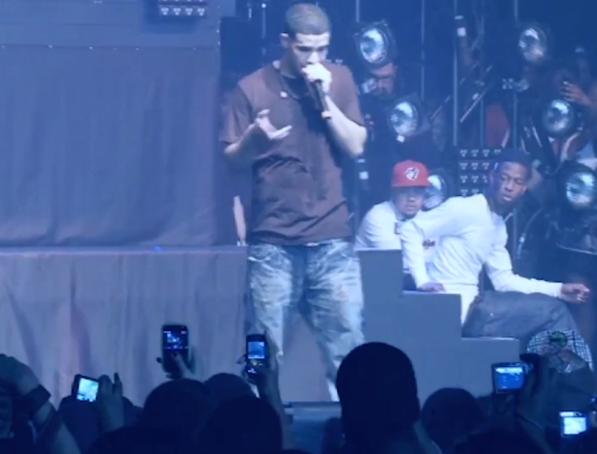 The concert features performances of songs off Drake’s stellar mixtapes: So Far Gone and Comeback Season.